Our Dad was called up to take his seat at the Greatest Texas Holdem game in the sky. 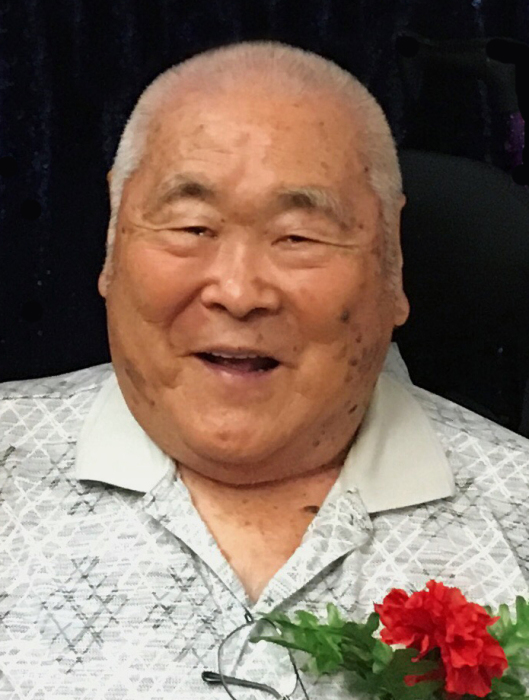 George Sanji Yoshimura, 86, passed away on Sunday, October 7, 2018, at home surrounded by his family. He was born May 16, 1932, in Ogden, UT to Saburoji and Tome Taguchi Yoshimura. George graduated from Weber High School and is a Veteran of the Korean War. On December 10, 1960, he married Jeanette Miyeko Sato in Ogden Utah. Dad loved going to Wendover to play poker with his brothers and made many friends in the poker room. He hosted the Wendover bus for many years and hosted charter buses to Wendover and Vegas for the Davis North Sr’s, Ogden Buddhist Church and Salt Lake Buddhist Church. Dad missed his parents and siblings and could not wait any longer to be with them. The three brothers (Tok, Dai and Geo) can play poker together again. George is survived by his wife Jeanette; their children: Doug Yoshimura, Ross Yoshimura, both from Roy, Dana (Bob) Miyawaki, West Point; Grandkids: Dakota Yoshimura, Roy, Megan Miyawaki and Zoe Miyawaki, West Point. He was preceded in death by his parents; siblings, Utako (Yoshikazu) Shigemura, Aki (Min) Okuda, Dai (Sumi) Yoshimura, Tobe Martinez, Masayo (Harry) Sato, Tok Yoshimura. Memorial services will be held at 11 a.m. on Monday October 15, 2018, at Lindquist’s Roy Mortuary, 3333 W 5600 S, Roy UT. The family will meet with friends on Sunday, October 14, 2018, from 6 to 8 p.m. and Monday from 9:30 to 10:30 a.m. at the mortuary. Arrangements and cremation entrusted to Lindquist’s Roy Mortuary.